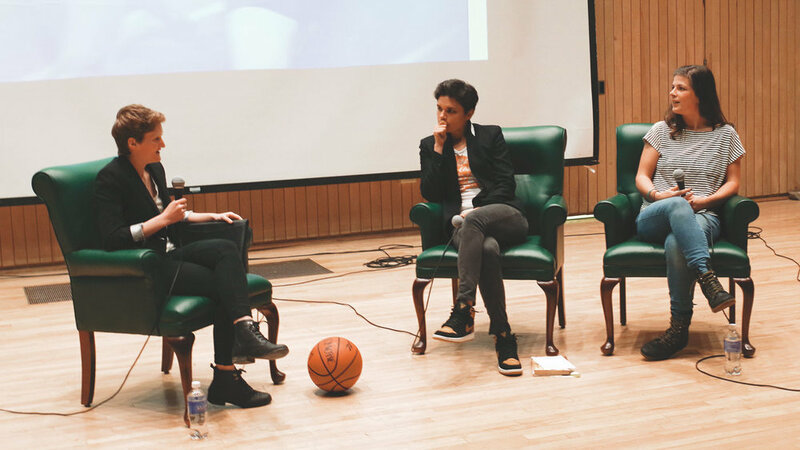 Show Your Sport welcomed leaders in athletics and activism Kate Fagan and Kristin Russo for a candid conversation about coming out, and coming out in athletics. 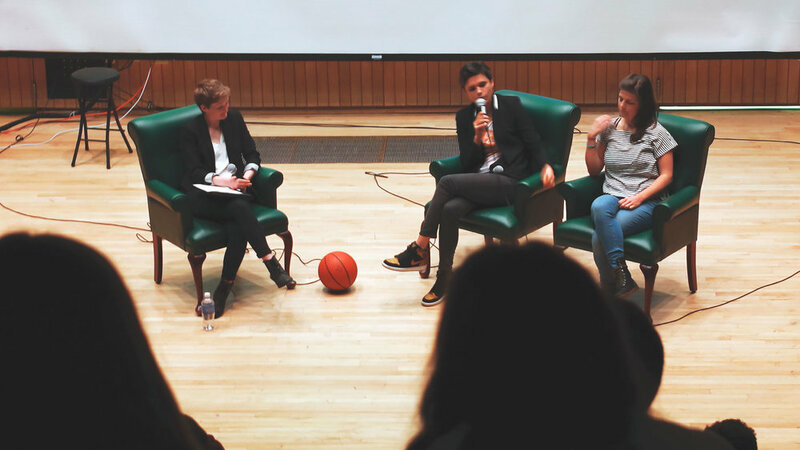 Through moderated conversation, the audience—including athletes, non-athletes, faculty, coaches and community members—engaged with Kate and Kristin over topics including coming out, team dynamics, and allyship. 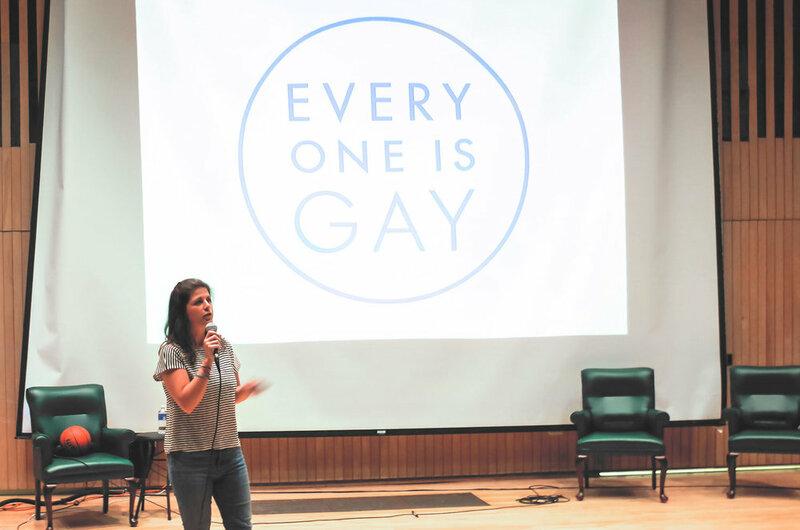 Kristin Russo is the co-founder of Everyone Is Gay, and My Kid is Gay, the author of “This is a Book for Parents of Gay Kids,” and the host of the PBS digital series “First Person.” She speaks about LGBTQ issues at college campuses around the country in order to create accepting environments for queer students and families. 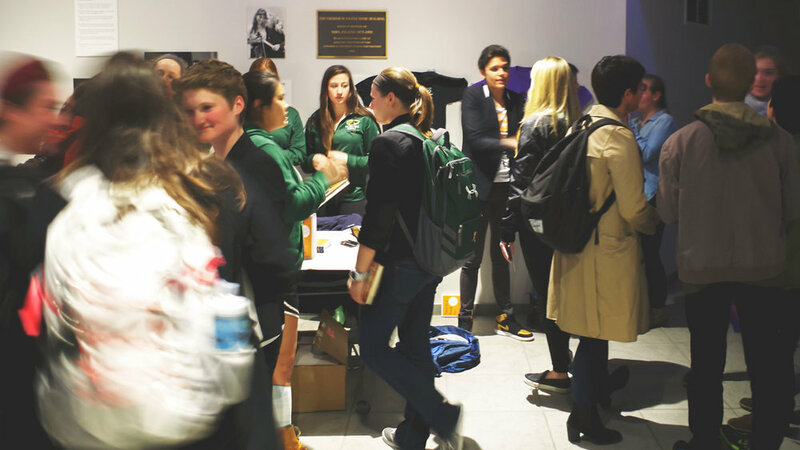 Kate Fagan is a columnist and feature writer for espnW, ESPN.com, and ESPN Magazine. She is also a regular panelist on ESPN TV, and is the author of “The Reappearing Act,” a memoir about coming out as a DI basketball player at a conservative Christian school. She is currently working on a book about the mental health of athletes.